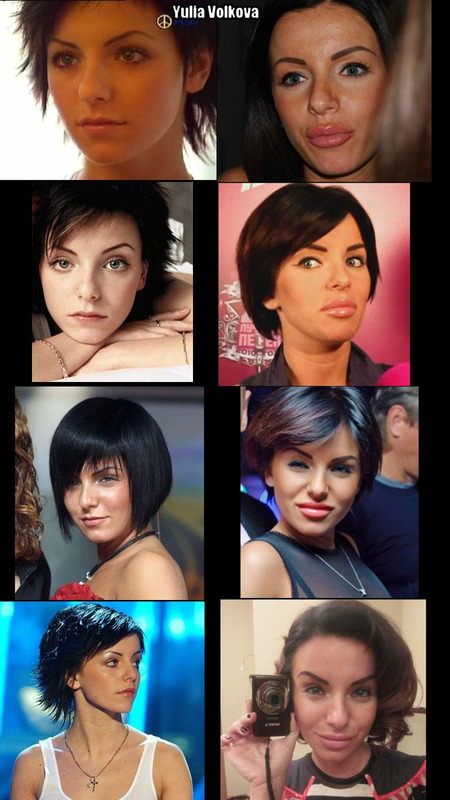 Who in the world is Julia Volkova, you ask? You might remember her as the cute Russian singing sensation and one-half of the pop duo known as, t.A.T.u. A female pop duo that garnered worldwide attention after the release of their ultra-catchy single entitled 'All The Things She Said'. If you haven't been keeping up with Julia Volkova lately... Things have changed a little bit in regards to her appearance. Not plastic surgery!?! Yep, we think so. It appears that Ms. Volkova has traded in her youthful good looks for a generic wax-like "makeover" that may include procedures such as botox and lip injections. However, many contend that the pint-size pixie went as far as getting a full-blown facelift. See this collection of before and after pictures and decide for yourself.